Just saw Kubo and the Two Strings. 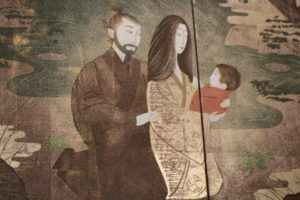 It was created by Laika, an inventive, quality studio I have always loved (they also created the movies Coraline and Paranorman) It’s a gorgeous movie set in ancient Japan, with an imaginative plot, a few surprising twists, and and an emotional heft not usually found in your usual popcorn fare. It has a welcome quirkiness that sometimes approached the work of Miyazaki. Good? Yes. So why am I leaving the theater with a bad taste in my mouth and a sadness that has nothing to do with the movie’s end? 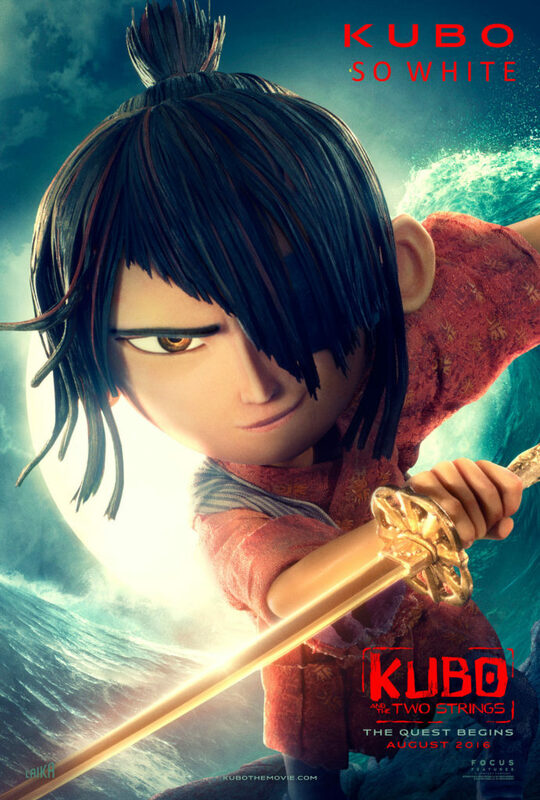 Kubo is unmistakably a Japanese-inspired folk tale, with its samurai warriors and spirits and origami and shamisen. The dress is Japanese, the look of the characters are definitely, happily Asian. And yet, none of the major characters in the movie are voiced by actors of Asian descent. Not one. I know, I know, it’s animation. You might say, what does it matter? It’s a cartoon! It’s all voices! what does it matter who’s voice it is? They don’t even have accents! This is all true. 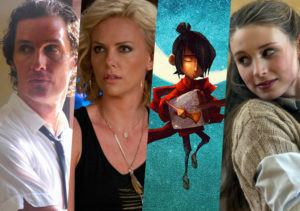 Animation has a long history with 60-year-old men playing teenagers and women playing boys and. Why should race matter in casting a cartoon? But it does matter, even if the audience doesn’t know who’s behind the voice. I’m not a person prone to outrage, or extremism, and I know there is a spectrum of valid opinions out there, but I think this deserves some examination. Nothing evokes the sound of Ancient Japan quite like the voice of Matthew McConaughy. I completely get the realities of the animation business, the irking but somewhat understandable need to cast celebrities, but to not have found one suitable Asian actor for any of the main voices? What makes things worse, in what may seem like inclusion but is quite actually galling, is that there are a lot of Asians in the cast—look, there’s George Takei, right there— but all of them have been crammed into minor villager roles. George has a one-line joke and then he’s pretty much done. Their roles are not much more than glorified extras, or ADR voices. It was as if they decided that the Asian actors would be all right, as long as they stayed in the background. And we’ve got the voices! There are a lot of Asian actors I can think of that would have been wonderful in one of those roles— Tamlyn Tomita, Ming-Na Wen, James Hong, Sab Shimono, Lauren Thom, Michelle Yeoh (oh, that would have been most excellent! )… those are just a few names that come to mind (what about the ever popular John Cho?) I’m sure Brenda Vaccaro is a lovely woman, but couldn’t Amy Hill have fit the bill just as well? 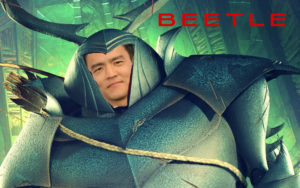 Eric Bauza would be an fantastic Beetle! Cary-Hiroyuki Tagawa is a highly-respected actor—why relegate him to a handful of inconsequential lines? 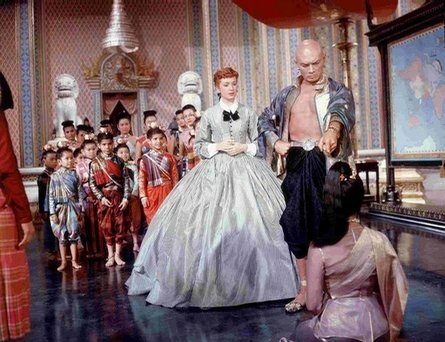 It would be like doing a production of The King and I, and casting Asian actors only as the non-speaking children. Oh, wait, that did happen. IN 1956. Haven’t we progressed any further than that? Why is this important, when it’s only voices? Because it’s the Asian culture that’s being appropriated. Yes, it’s a fantasy, but it’s clearly a fantasy about Japanese people. What if they were to do an animated movie, a fantastical version of the Underground Railroad, but they cast white people as all the major black roles? What if Harriet Tubman were voiced by Reese Witherspoon? Would that be all right? If not (I think we can agree—NOT), then how much different is Kubo? I’ve read the director’s defense against the apparent whitewashing of the cast. I find his explanation that they were culturally specific when they cast the human parts in the movie, but were not going to be so concerned with doing that for “the animals, or spirits,” to be a little disingenuous. All the major characters are animals or spirits (with decidedly human attributes), with the exception of the title character, who is human and not voiced by an adorable Asian kid but an Irish one (it’s the guy who plays Rickon Stark on Game of Thrones—at least we can hear what he sounds like now). 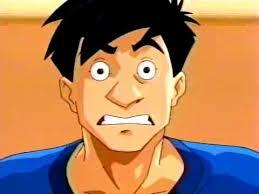 He couldn’t find one Japanese-American kid to voice the lead role? 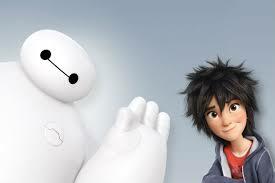 Big Hero 6 was able to do it. So was Up. Why couldn’t Laika? 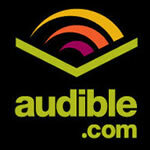 The director says that, in the end, they were “truly color-blind” in their voice casting. I have no doubt that they thought they were doing their best, but I don’t think it’s enough anymore to throw your hands up and say, “I’m just choosing the best people, I’m color-blind!” and then pull off the blindfold and say, “By golly, it’s all white again!” And cramming actors of color in the insignificant roles, as perhaps insurance against controversy, doesn’t seem so much like color-blind casting as tokenism. It’s much harder, being color-conscious when casting voice roles. 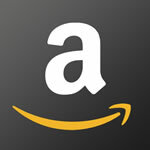 It’s not a militant mandate, it’s not a quota. It’s a balance. 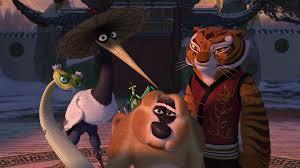 In my own Kung Fu Panda,.. yes, Jack Black is certainly not Asian. Nor is Dustin Hoffman. Nor Angelina Jolie (though in a certain light…). Very true. But at you also had Jackie Chan. And Lucy Liu. And the venerable James Hong. They were there, they represented. And, I’d say, they brought something unique to the fantastic mix of voices. Two out a Furious Five—I’ll take that! Personally, I would not have the career I have now without someone way back when taking the care to say, “Yes, even though we could find a multitude of white sound-alikes in our amazing talent pool, we should find someone who is Asian to play Jackie Chan.” It gave me the opportunity, and it gave me a voice. I know most people don’t even think about this when they go to the movies. Many probably don’t even know who the people are behind the voices. My son doesn’t care. But I do, and it’s not just because I’m in the business. 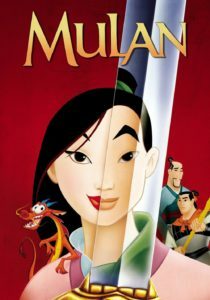 I remember seeing Disney’s Mulan. It, too, told an Asian-specific story. One of the screenwriters was Asian. The leads were all Asian, except for Eddie Murphy. The movie had celebrities and they had authenticity. That’s what made it unique and enduring—Disney was not just appropriating a culture; it was allowing us to tell our own stories. totally agree james. these portrayals perpetuate the caucasian ideal as the “default”, while any nonwhite performer is seen as the “other”. this is damaging to nonwhite children who are starved for representation. one argument the producers could use for their casting choices is that they need to sell tickets which forces them to use famous white actors and actresses, but this is a self perpetuating argument/phenomenon. white actors and actresses are far more successful because they are deemed “more sellable”. what’s so sad is that this kind of production would have been an ideal medium to actually feature asian star power and/or introduce new asian professionals.